Home Latest News Slider Precision Air announces its annual financial results, narrows net loss by TSh18 billion. Precision Air announces its annual financial results, narrows net loss by TSh18 billion. Precision Air Group is heading towards profitability as it reduced its annual net loss by 60 percent during the year ending March 2014. 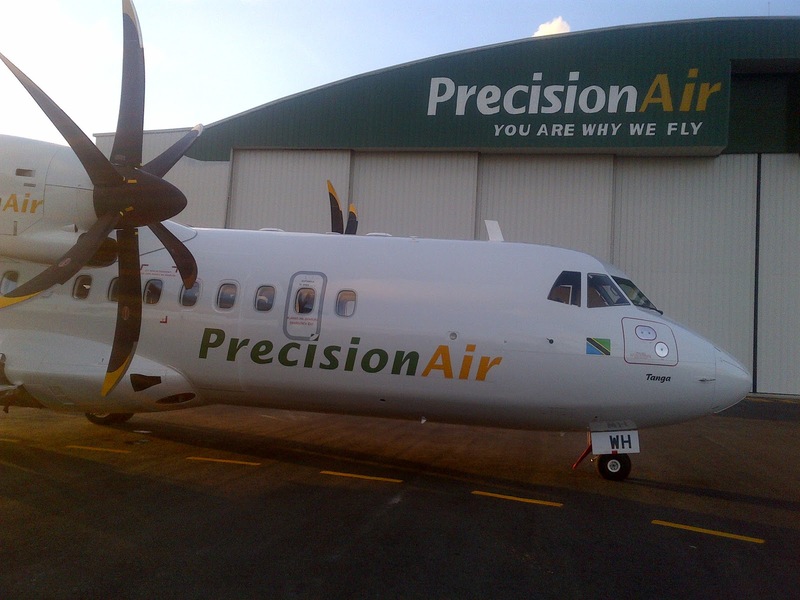 Precision Air Services PLC (operating as Precision Air; DSE:PAL) has announced their annual results for the Financial Year which ended on 31st of March. The Tanzania’s only airline listed on Dar es Salaam Stock Exchange (DSE), recorded a net loss of Tanzania Shillings 12.1 billion during the year ending March 2014, a massive improvement from a TSh30.1 billion recorded during the year ending March 2013. However, the company made an operating profit of TShs3.6 billion as compared to the loss of the previous financial year of 18.1 billion, translated as an improvement of over 120 percent indicating a prosperous future for the airline. With the cost serving measures and turnaround strategy well under-way, the company is expected to return to profitability at the end of this or the following financial year. Under its turnaround plan, the airline stopped the lease for two B737-300 aircraft and subsequently stopped operating to Johannesburg and Lusaka which were the loss making routes. The B737s were instead returned to the lessors – a development that, however, reduced the number of passengers from 895,654 to 687,981 during the year ending March 2013 and 2014 respectively. According to the statement, in efforts to maximize profits, the company reduced its direct expenditure from Sh147 billion in the year ending March 2013 to Sh99 billion in the year ending March 2014, i.e. direct expenditure cost savings of 48 billion Tanzania Shillings. The Group looks forward to complete its turnaround strategy in time so as to capitalize on the gains made last year. Sale & Lease back of some aircraft will be pursued in order to reduce borrowing, cost of financing capital and improve cash flow. better customer service at all customer touch points within our operations. overhaul the entire network and work on HUB and SPOKE strategy so as to maximize opportunities to get extra passengers on board our flights and thus make additional revenues on existing fleet. review the existing skill levels of our staffs and either upgrade it through coaching and training; or recruitment of the right people in the right places. tight and continuous focus on cost control across all functional areas. increase partnership portfolio and sign up more Special Prorate Agreements (SPA’s), code shares and joint ventures (JV’s) thus increase passenger revenue numbers. finalize and conclude on partnership arrangements in Ground handling and Maintenance so as to generate additional revenues alongside other ancillary revenue opportunities’.